1. 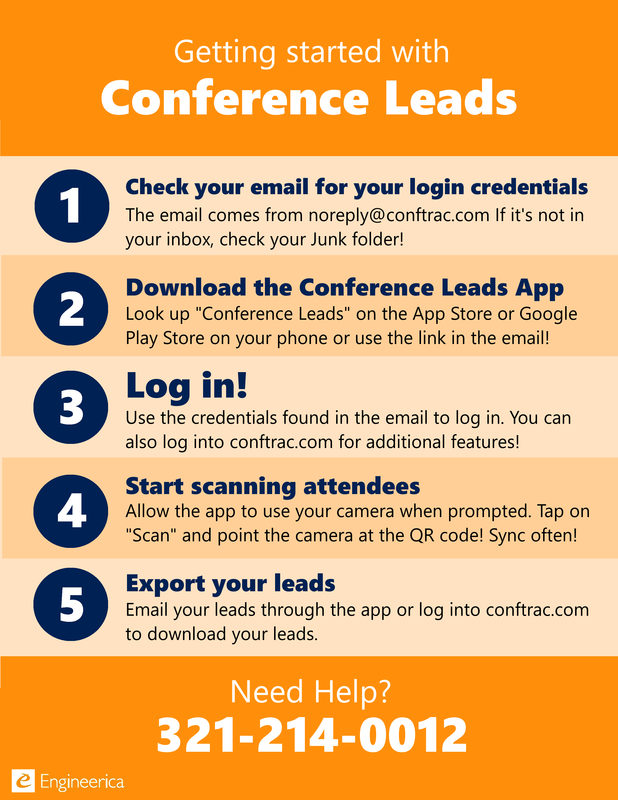 If you are new to Conference Leads, check out our Quick Start Guide to using Conference Leads. That way you will be ready at your exhibitor booths in just a couple minutes. 2. Additionally you can watch this helpful video too to see how the app works. 3. Once the Conference is over learn how to get your leads and do more! at our Main Office via 321-214-0012 Monday through Friday, 8AM-5PM (EST) Eastern Standard Time.